The Grand Ole Opry returns to its historic home – the Grand Ole Opry House – for the first time since being displaced as a result of May’s historic Nashville flood and Great American Country (GAC) will present it live in Country Comes Home: An Opry Celebration on Tuesday, September 28 at 8:00 PM/CT. Among the stars scheduled to appear are Trace Adkins, Jason Aldean, Dierks Bentley, Charlie Daniels, Jimmy Dickens, Martina McBride, Montgomery Gentry, Brad Paisley, Blake Shelton, Josh Turner and Keith Urban. Viewers will also get an exclusive look at the fully refurbished Opry House and beloved Opry stage where 46 inches of water stood following the May flood. No doubt plenty of attention will be focused on the Opry House’s signature element, a six foot circle of oak taken from the stage of the Ryman Auditorium, the Opry’s former home. The circle was removed from the Opry House stage, painstakingly refurbished and returned to its rightful spot center stage. 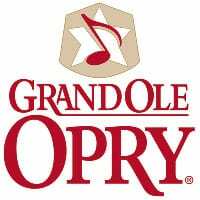 The Opry has not missed a single show since the flood, broadcasting from several Nashville venues including former Opry homes the Ryman Auditorium and the War Memorial Auditorium. GAC remains the only place on television where fans can enjoy Grand Ole Opry performances.